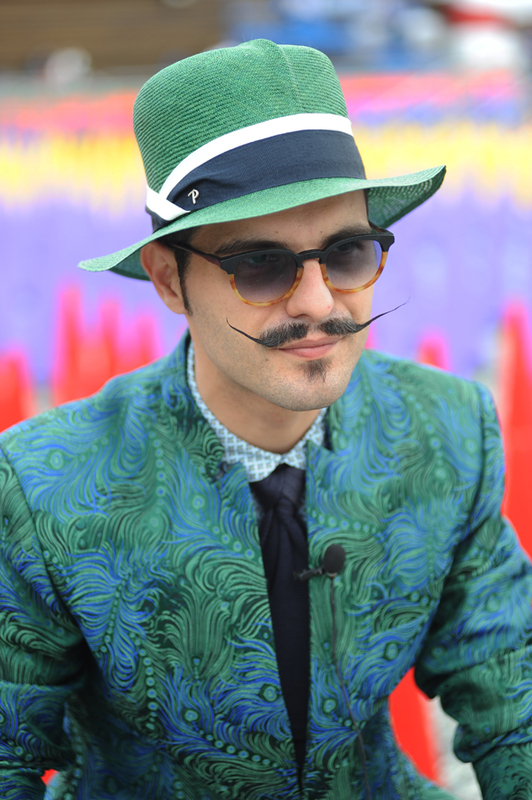 Men’s fashion trends, from Pitti 88 fair, has the colors of freedom. In fact, men’s look are being mainly characterized by imagination, color and the ability to measure out the ingredients with class and inventiveness, mixing the rigor of sartorial to the originality of casual wear. Not a unique style for the gentleman wardrobe of summer 2016, but a refined mix of trends and moods, which evoke the themes of the past and reelaborate them in a contemporary version with nonchalant elegance. From British streetwear and American vintage, to hippy style and pop art colors, mens’ fashion exhibits bold chromatic color combinations and volumes, matching multicolored shirts to sartorial jackets, super lightweight trousers to linen knits or oversized shirts. 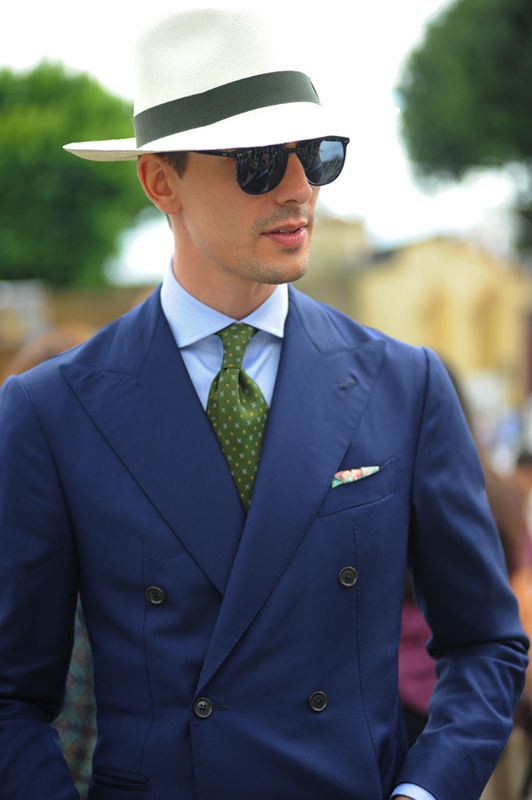 Blue color is going to be the new mantra on important occasions, and the protagonist of gentleman’s wardrobe the trench. Casualwear and denim lovers may express their creativity by choosing vintage style clothes, jeans and relaxed jackets of rock style influence, white denim and combinations of contrasting fabrics, jacquard prints and floral motifs. A sporty style adapts to contemporary globetrotters, offering a wardrobe of comfortable, practical and functional garments, ideal when travelling around the city, or for a long journey. Waterproof fabrics, blazers, trench coats and summer garments in ultralight cotton. Sneakers and espadrilles are big star of summer 2016, presented in a wide range of colors, reminiscent of the American street art. Men who wear classic style reflect the 1970s in colors and patterns, jackets as fundamental piece, soft slacks and precious details: stitching, buttons, linings, even precious socks. The most original elegance is inspired by the figure of the dandy, eccentric icon of sophistication, including linen dresses, bush-jacket colors, knitted jackets and silk shirts, hats and scarves. The luxury trend declines to underground, with oversized sweatshirts and graphic prints, skinny pants, contemporary versions of the studded leather jackets, metal punk influences on details and a versatile unisex looks which loose the distinction between male and female. The bag is a key piece of new fashion trends, for her and for him too. Key piece of summer 2016 the tie, in its finest versions and classic motifs, stripes and micro-design, but also unusual floral prints, not only as an accessory but as a real trend, coloring with typical necktie pattern, even others men’s garments, for an unusual and improvised urban chic look. What about shirts? Next spring/summer shirts are colored, with prints and bright hues, with cutaway or mao collars, in linen, cotton or denim as well. Pattern and color are the key words of next summer trend. 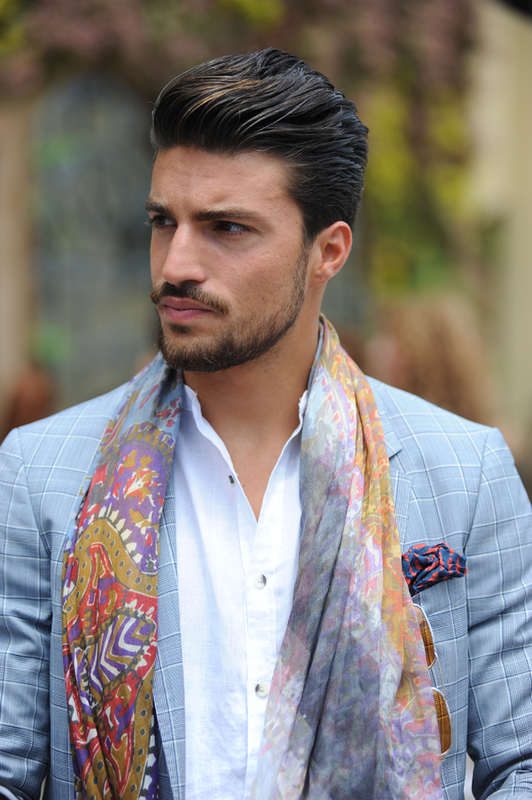 What do you think about next men’s fashion trends from Pitti 88? Comment and share with us your ideas!